Strange as it may sound, it’s a great time to be young and in search of work. Here’s why: In an effort to increase the safety of America’s construction sites, mobile crane operator certification requirements are changing. 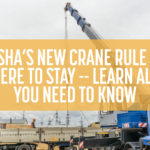 On May 21, 2018 the Occupational Safety and Health Administration (OSHA) published its Proposed Rule removing the requirement for crane operators to be certified according to the capacity of the crane. They also announced an extension of the compliance date for new crane operator certification requirement to Nov. 10, 2018. As we head into 2019, employers must meet strict requirements to make sure crane operators are competent to operate equipment. This has to be done through training, certification, licensing, and evaluation. Mobile crane certifications are more important than ever! But what does all this have to do with recent high school graduates looking for a profitable, stable career? 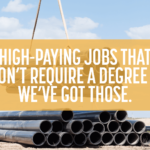 It means you can sidestep four years of college with an affordable crane certification program and put yourself on an incredible career path in a matter of weeks. More than ever, affordable crane operator training programs are driving a thriving industry and helping young workers find profitable careers. Rigging and crane certifications unlock high-paying professional opportunities for motivated high school graduates who don’t want to spend tens of thousands of dollars on a college degree. Marie Athey knows how the industry is changing. She also knows about the importance of safety training for crane operators. She’s a project manager at AECOM Hunt Construction, where she oversees construction operations at the San Francisco airport. She is also an Environmental Health and Safety professional in commercial construction and an advocate for risk management and professional safety organizations. As the woman behind OSHATrainer.Org, she connects students and businesses to world-class safety trainers and consultants. “There is a huge need for skilled crane operators, and with the new OSHA regulations, that’s more true now than ever,” Athey says. She says this is true all over the country, but especially so in booming construction areas like Texas, California and Nevada. Overall employment of construction workers is projected to grow 12 percent through 2026, faster than the average for all occupations. Athey says the strong economy in the states already mentioned (plus Utah, Washington and others) is behind this, as is the anticipated loss of immigrant workers. In fact, the driving force behind these certification programs is safety. A well-trained crane operator brings a safety mindset to the job site. That means reduced liability for the employer; it also means everyone gets to go home to their friends and families at the end of the shift. Athey says being “in demand” gives mobile crane operators and riggers a lot of leverage in their job search and hireability. They get great benefits, chances for promotions, and opportunity to get advanced positions like Lift Director or Crane Inspector. With specialized training, crane operators can work in specific industries like petrochemical facilities or nuclear power plants. And with jobs wherever things are being built, there’s always an opportunity to travel all over the country or all over the world. 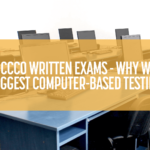 Which Online Training Option is Right For You? 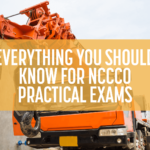 If you’re looking into your crane operator certification requirements, you’ve already discovered that lots of websites offer training and exams. Some of them have been doing it for years, so they understand safety management and lift operations. But more often than not, it’s clear they don’t understand the career goals of people like you. A fleet manager who owned mobile cranes but didn’t have a certified crane operator on staff. A Midwest service company that recruits crane operators and needed an affordable on-site program to train them. A contractor looking to hire a Certified Lift Director to help plan lifts and travel to job sites to conduct lifts. Recent high school graduates who aren’t happy with their job prospects and who want to make an excellent salary rigging loads, operating mobile cranes or directing heavy equipment operations in America’s booming construction industry. Job-seekers thinking about a solid career in a growing industry need is a trusted resource for information related to cranes and construction trades. That’s what Train for the Crane can do for you. We are shifting the narrative about what it means to be a skilled trade worker. In 2019 and beyond, construction is a great career with lots of opportunity for advancement. And we’re here to show you the way to get your foot in the door.